The playground is supervised in the mornings for children of Pre-Preparatory by our Assistant Educators from 8.00am. All children are encouraged to arrive in Pre-Preparatory by 8.30am each day. This will allow them to have time to settle into the day comfortably with outdoor play before moving to indoor activities at around 8.45am. The Pre-Preparatory is supporting and encouraging environmental sustainability in a number of forms. Parents may have noticed the vegetables growing in the garden beds and a composting bin nearby. Children are encouraged to place their food scraps such as apple cores and other vegetable and fruit scraps into this bin. The compost will be used in the vegetable garden. Children are also encouraged to collect food scraps at home and bring these to the Centre for including in the composting and worm farm programs. There is also a worm farm. Again, food scraps from the children’s lunches are used to feed the worms. They create a very nourishing ‘Worm Juice’ which is wonderful for gardens. We would like to be able to sell jars of ‘Worm Juice’ to parents for use in their garden at home with proceeds going to support further environmental activities. 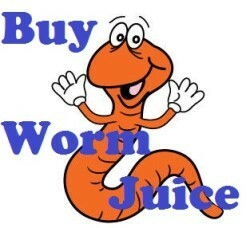 Donations of clean glass jars would be very much welcomed in order to bottle the valuable ‘Worm Juice’. Please bring clean glass jars to the Pre-Preparatory Office. Parents will be able to purchase the ‘Worm Juice’ shortly and it will be available from a table near the Sign In Desk each morning. The uniform shop is open from 7.30am – 1.30pm for purchases.